I was fortunate enough to see the Richard Serra drawing retrospective at the Met this past weekend and was blown away. Most people are probably familiar with his sculptures, but his drawings are equally as interesting. Have a look. Blank, 1978 Paintstick on Belgian linen; 2 parts, each 10 ft. 1/4 in. x 10 ft. 1/4 in. Untitled,1972 Charcoal on paper; 29 3/4 x 41 1/2 in. Weight and Measure IX, 1994 Paintstick on two sheets of double laminated Hiromi paper; 11 ft. 11 3/4 in. x 80 1/8 in. * Above images from Max & Zavattero. Go check them out because they show some fantastic artists. * Above image from Steve Turner Contemporary. Take a gander at his website HERE. Also, be sure to look at the interview he did with Studio Critical. If you still want more go take a peek at his work on Dripbook. Click HERE to take a gander at his website. 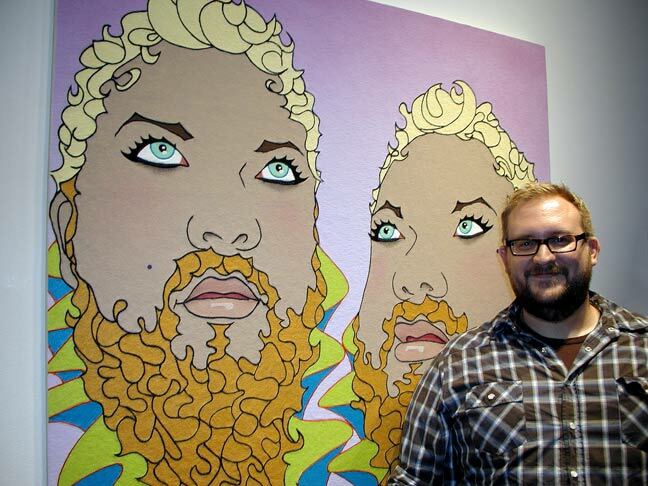 I found his work on Artsy Shark, so go check them out and the interview Patrick did with them. Much of his work is available for purchase HERE. Take a look at this website HERE. If you’re lucky enough to be in San Francisco stop by The Lab to see “Pursuing a Calculated Distance” with Seth Curcio and Bradley Hyppa. He did a fantastic interview with Cheap & Plastique HERE. Artist Statement courtesy of Morgan Lehman Gallery. My work is first a response to the world and then a reaction to what it has to offer. Images surround me as abstract concepts, presented by the curious interaction of forms, feelings, and situations. They offer a glimpse into the way the world is constantly being reloaded with opportunities and options for reinterpretations and impressions. It might start with a beam of light passing through a window in the afternoon and that within that beam there is the potential of a full spectrum to appear. In my paintings I try to create the feeling of getting lost in the thoughts that are easily ignored or put aside. Many of my paintings will come from moments seen in films or articles read in the newspaper or simply from a walk down the street. The images tend to be of non-places where the specifics of them are not important but how the elements within the picture interact as parts of another world that is sometimes jarringly familiar to our own. It might be seconds away from becoming reality or lifetimes in the past as a fleeting memory. Go look through his website HERE.